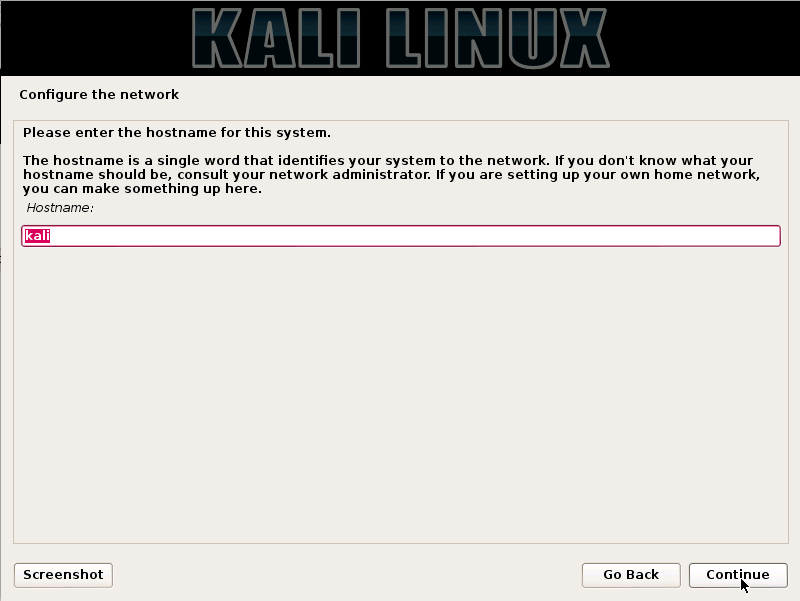 Kali is a fairly popular penetration testing distribution of Linux. With this in mind let’s look at how to set up a basic installation of this OS. This post does assume that you know how to create a new virtual machine and start the install process with an ISO file. 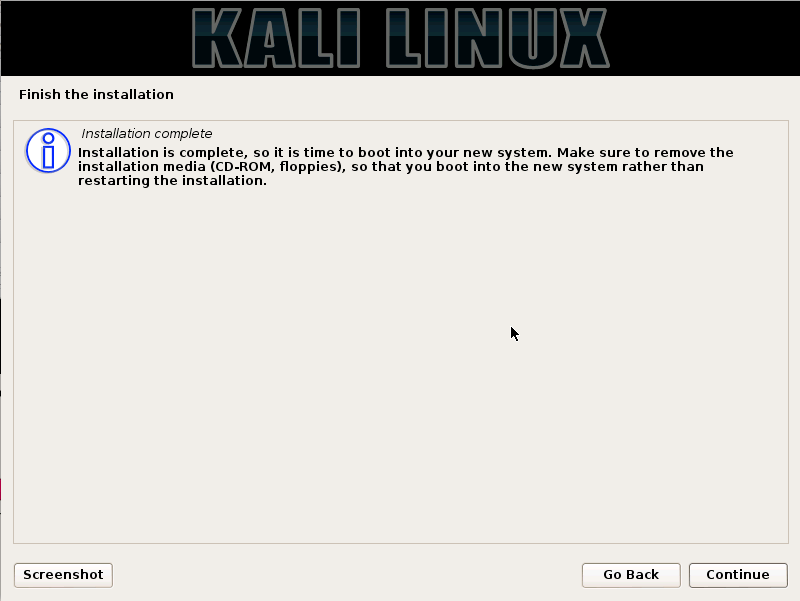 Once you have started your virtual machine you will be greeted with the Kali boot screen. From there you will want to select the “Graphical Install” option, which will make the installation wizard appear afterwards. The next screen you will see is the languages screen where you will want to choose your preferred language and then your current country. After you make these choices the installer will begin to copy an image to your hard disk, check your network interfaces and then it will ask for a hostname. Next you’ll be asked to provide a default domain name. This option is completely optional and can be left blank. Once that is done you will be asked to provide a name for a non-root user for the OS, which will then be used to generate a username (you can customize this if you so choose). The next step is creating the disk space you will be using. For this installation step we will be using the “guided – use entire disk” option. Once you picked this option you will select the disk that will be partitioned. (By default you will only have one). From this point on you will just need to continue following the rest of the walkthrough as there are no further personalization options. Once the installation is complete you are good to go! 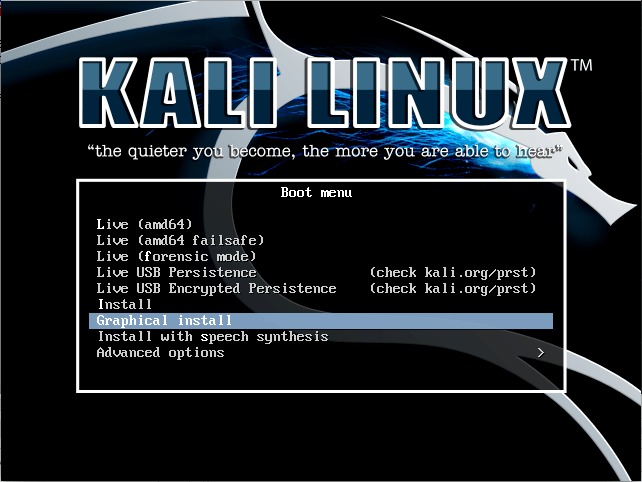 Kali Linux provides many tools that are helpful for network analysis as well as penetration testing, which has many helpful tutorials readily available.